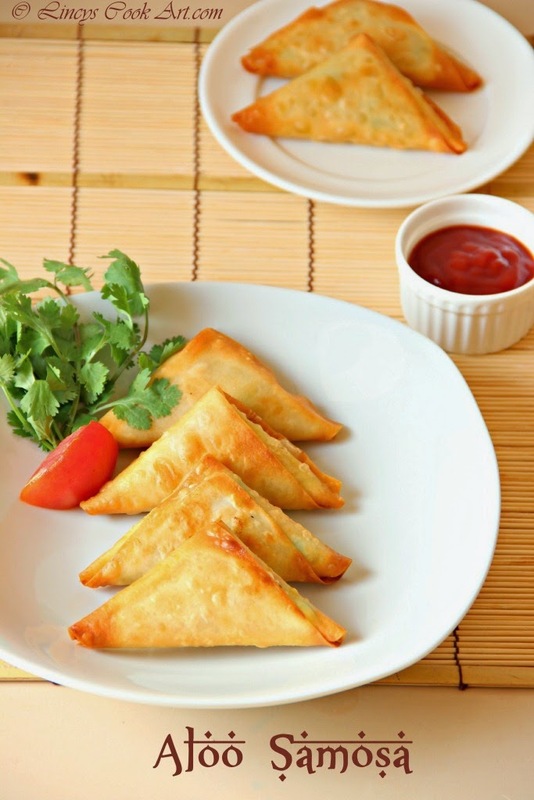 Samosa is a very popular tea time snack from India. The crunchiest triangular cover, filled with stuffing. 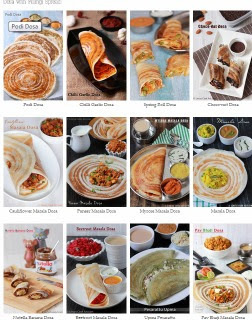 The filling varies from veg to non veg; from aloo to beetroot or mixed vegetables; Onion for the vegetarian version; scrambled eggs, chicken, mutton cooked minced meat used for non-veg versions. Aloo samosa is an easy to make, popular and liked by most of the people. Now a days this somosas can be prepared easily by store bought sambosa sheets. Just prepare the filling of your choice and fill the sheets; make turn overs, seal them and fry them in hot oil. Your somosas are ready. You can prepare the samosa sheets from scratch by mixing all purpose flour, salt, a tablespoon of oil and mix well like poori dough; spread the dough like pooris and cut the round pooris into half and make a cone out of this and fill and seal the samosas. Heat oil in a pan and onions and green chillies when the onions are soft add ginger garlic and asafetida. Cook till the raw smell of ginger garlic leaves; add the turmeric powder and mix well. Immediately add cooked mashed potatoes, cooked peas, salt and coriander leaves. Cook for two minutes and put off the gas and allow the mixture to cool. Mix corn flour and all purpose flour as a thick slurry by adding two to three tablespoons of water. Keep a tablespoon of stuffing inside the samosa leaf and hold the stuffing and make triangular turn overs. Apply the paste on the edges of the samosa sheet and seal the edges. Heat the oil in a pan till smoking hot and reduce the flame and deep fry till golden brown. Nice recipe dear.. nd nice shape of samosas. Perfectly folded in and the whole thing is so good and I need spicy chili sauce for the dip dip. Samosa looking fabulous and yummy...... Would love to grab a piece!! tempting samosas n perfectly shaped!!! they look crunchy n yummy! Crunchy munchy evening snacks, love to munch some rite now.